My comments first: Those of us who have been accused of ultramontanism say we apply a creeping infallibility to everything the pope says. I can't speak for others, but I have always stated that we must respect the pope when His Holiness teaches the Catholic Faith. We don't have to accept as truth papal opinions, off-the-cuff interviews or formal teaching that are tinged with heresy or error. Infallibility only applies to reiterated infallible truth and when the pope speaks "ex-cathedra" but even here no new teachings can be proclaimed that reverse previous orthodox teachings. But since Vatican II, progressives have treated Vatican II and especially its spirit as infallible. Vatican II has been sold to us as a unique acting of the Holy Spirit in the modern age ushering in a new springtime for the Church. Faithful Catholics were betrayed by this creeping infallibility applied to a pastoral council and yes there is idolatry associated with this creeping infallibility of Vatican II where Vatican II or its spirit is what is worshiped and glorified. The betrayal of faithful Catholics began when they were ridiculed for loving the pre-Vatican II Church and her immutable truths, fixed liturgies and the great discipline required of the clergy and those in religious life. Outright disobedience was celebrated by the progressive crowed and once very disciplined clergy and religious (to include bishops and cardinals) experienced not a new springtime of renewal but the acting out of their delayed adolescence when the great discipline was removed by those who touted personal freedom and psychology of religion to the true Faith. 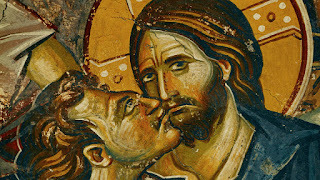 This betrayal of faithful Catholics is now on a new level of corruption and in the hierarchy from the top down and has those who promoted the discontinuity of the pre and post Vatican II Church are being made to pay for their apostasy as their immorality is being brought out in the open in the manner it which the same will take place at the Final Judgement. And now a liberal, spirit of Vatican II publication, the National Catholic Reporter, responsible for so much of the filth it promoted in the 1970's and forward, takes the high road with this editorial. However, the scandal with McCarrick isn't really about the homosexual abuse of teenage boys because the two cases recently revealed were presumbaly secret until the victims came forward. So we can't blame anyone about that other than McCarrick. What the NCR article fails to recognize is the homosexual abuse of adult men under his charge, seminarians and young priests. This was known but because the victims were of age, it was swept under the carpet. And it should have been known by Pope St. John Paul II when he was named a cardinal or when it became known, it should have been made transparent by the removal of the Cardinal from the College of Cardinals at the time and his demotion. The NCR article still focuses on child sexual abuse. But this scandal far eclipses that. It is about perversion as accepted as normal, not a disorder and winks and nods and the cover-up of a lifestyle that homosexuals in the Church evidently prefer. Removing McCarrick from his office as cardinal and from the clerical state suitably addresses the individual at the heart of this case, but it doesn't address the deeper issues. Catholics understand behavioral problems, mental illness, sexual sin — we understand humanity that fails. To this point in time, the church has focused on the actual sickness of the abusers. The response has been modeled after and invokes civil law to punish the offender with jail time and expulsion from the community. Settlements and monetary liabilities are paid out. We support all these actions as appropriate and necessary. The secondary crime, which can't be dealt with in a civil court or bought off with insurance money, is the betrayal of the community by its leaders. Addressing the betrayal of community will take more than revised charters and canon laws. The McCarrick case shows how this betrayal happens at the sacramental level: Bishops who hid the crimes against children or who through intention or neglect enabled the crimes to remain hidden distorted the community's understanding of God, of God's presence in the community that we believe, according to our sacramental theology, infuses everything and everyone. What must happen is a deep examination of conscience by all who have held power in the church these last 40 years when the abuse crisis began to emerge in the church. Not long ago when such sexual based scandals broke out we heard from many the accusation that the problem with the Church is the problem of Her bishops. We do not hear that call much today, bot much seems to have changed. You even have to wonder how back that goes if not to the bishops who composed the Vatican II council itself, a council that was hijacked by the Modernists, with seemingly little resistance in the post WW2 euphoria. With the talk from Rome of looking at holiness in terms of ideals to be reached rather than reaching them through the Grace of God, I fear things will get much worse. Maybe the Holy Spirit desires to hammer the Church to the ground in order to purify Her. But something about being so certain that the Holy Spirit desired this or that as stated in the V2 Council documents in order to validate their novelties, including the one on the liturgy (SC43), sounds like the work of human pride trying to tempt the Holy Spirit into action. The John Jay Report, commissioned by (and then ignored when they didn't like its findings) the U.S. Bishops indicated that the vast majority of sexual abuse cases with the clergy were perpetrated upon adolescent males. Again, that is NOT "pedophilia". That is homosexuality. Yet we have Progressive "Catholics" and their publications like U.S. Catholic and the National Catholic Register--both embarrassments to any rational Catholic--insisting that we have "sinned" against the gay community by "marginalizing" them, when what they really mean is that they want us to wholeheartedly embrace homosexuality and every disordered demand that the homosexuals and their enablers make. It's not enough to tolerate. We have to practically slobber all over them with our approval. We have to have priests who dedicate (and waste) all of their time and "ministry" to change public opinion (and Church teaching) about homosexuality. The pot of gold at the end of their imaginary "rainbow" (no pun intended) is to remove the term "disordered" from the Catechism. Yet these are the same people who say that we have to come down on abusers like Cardinal McCormick? This is worse than phony. It's hypocrisy on steroids. YOU CAN'T HAVE IT BOTH WAYS! You can't denounce sexual abuse by priests and bishops and embrace the very sin that is the source of that abuse. Either homosexual behavior is a sin and homosexual orientation is disordered or it is not. If it is, we have to love the sinner, hate the sin and be consistent. If it is NOT disordered and if the behaviors are NOT sinful, then the Catholic Church has been wrong for 2,000 years and we are going to have to change every single teaching on marriage and family to adjust to this new "paradigm", in effect becoming Protestants. It's one or the other. We have to choose and have the guts to stick to our choice. We cannot have it both ways. Cletus - Didn’t you mean to say the National Catholic Reporter (a.k.a. National Catholic Distorter) rather than the National Catholic Register? Thank you, YES, that IS what I meant. U.S. Catholic and THE NATIONAL CATHOLIC REPORTER are horrible, not-really-Catholic publications. The National Catholic Register (at least, so far) is pretty darned good! My apologies to all readers of the National Catholic Register--including myself! That said, let us focus on the hypocrisy of the homosexuality-glorifying, hypocritical Catholic left and their duplicitous anger at McCormick while pushing the agenda that drove and enabled him. It should be our objective to become more Christ-like and therefore be possessed of humility and adorned with much holiness. We are created in the image and likeness of God,but we should consider how that image and likeness can and does become disfigured by our sinfulness, which is manifested in our lack of co-operating to the extent and to the degree we should with the grace God provides in abundance to us, which through our prayers, charitable works and sacrifices is available to assist not only ourselves but others as well. Let us pray for Divine assistance with the intention to avail ourselves of the all the promptings and opportunities which are available to us to practice love, charity and mercy towards others. God's grace is ever available to assist us. We should pray to the Holy Spirit, the Blessed Virgin, and the saints to prompt us, and aid us in striving to conform to the image and likeness of God we are created in. We live in troubling times, but our Merciful God has not taken from the world the spiritual gifts He has bestowed on it, and the incomparable gift of Himself in the perfect sacrificial offering of His Suffering and Death is irrevocable. What greater and more perfect way is there for us to reflect Christ's image than to adopt a virtuous attitude and act with humility and charity, and in accordance with what God desires of us, to obey His Holy laws. After all, it was with the greatest humility that God Himself descended from Heaven to become one of His creatures; and this in willing obedience to His Father. It was in this way that man was able to encounter and see God face to face and from Him hear the words of his Holy teachings. Beyond that, in the fulfillment of its purpose, God becoming man was the greatest act of love and mercy toward us His creatures, since it was only in His becoming one of us, that by the perfect sacrificial offering of His Suffering and Death, we could therefore be redeemed and given the opportunity for Eternal Salvation. George, you are right on all counts. However, I would add that sometimes charity calls upon us--albeit rarely--to listen to our anger. I did not say we are to be controlled by our anger, but we can be informed by our anger. If this situation does not make any halfway conscious Catholic angry, then something is wrong. I especially believe that we should take action here. First, we must pray that this filth is ended once and for all. And, as much as he grates upon me sometimes, we need to listen to Michael Voris. I agree with his suggestion that we demand that our bishops put a process in place for the laity to use when these abuses happen and until it is done, I believe we should not give ONE PENNY to ANY bishop's appeal or pet project or anything a bishop is counting on us to blindly send more money for. Too many bishops have played us for suckers and it is time that they see that their cash cow can dry up. Withholding money from bishops means 1) mission parishes go without money and some have to close their doors - the people suffer, 2) Tribunals can't do their work - the people suffer, 3) building projects in parishes lose funding - the people suffer, 4) diocesan school offices lose staff or shut down - students suffer, 5) religious education offices lose staff or shut down - students in CCD suffer, etc. The money lever is too easy and results only in further suffering. It is a very, very bad non-solution. Your idealism is admirable. However, none of the things you fear are likely to happen, because nothing gets the ear and attention of an American bishop as quickly as a dwindling bank account. Yes, that's a generalization, and not all bishops are that focused on money. It's just that too many are. This is an extraordinary circumstance and I happen to agree with Cletus and Michael Voris on this one. Now why don't you turn off your computer and go into the next office and tell the bishop that you tried. Money: if a bishop gets sideways with me I send the money for the parish project directly to the vendor/service and ask the pastor for a letter thanking me for the contirbution. So far the IRS has been cool with it and it costs the Archdiocese the 10% share of the contribution. After a while they get the message. You're concerned that faithful may suffer?? Kidding, right??? What have they been doing for the past 50 years, as priests and bishops have heaped all manner of liturgical and other abuse upon them? Merely "suffering", or more like white martyrdom? Ozzy - I suspect you have little or no first-hand experience with the daily work of our bishops. If you did, you would know that your "generalization" is false. Of course bishops are concerned about money. They are responsible for the finances of their dioceses. They act as stewards and oversee the use of that money for the work of the Church in their local churches. So withhold your funds, but accept responsibility for the effects on the lives of the people impacted by that act. I suspect that if you were living in a mission parish that survives only through diocesan subsidy, you'd be less inclined to throw your hat in with the likes of Vooris.